We listen to WHAT YOU WANT and give you WHAT YOU NEED to become HEALTHIER & STRONGER! JFIT has 12 Trainers who specialize in areas to create programs that work with what you like to do! Joy started at the JCC in December 1999. Her primary roles were Personal Training and Group Fitness Instruction. In September 2005, Joy became Fitness Director. With this position, Joy oversees Personal Trainers/Fitness Center, Group Fitness Instructors/Group Fitness programming, Aquatic Fitness Classes, and Babysitting. In addition, she is also Senior Fitness Adviser for our Senior Population. Joy has twenty-five years of fitness experience and is certified in a number of fitness areas which include: BodyCombat, BodyPump, BodyVive, CXWORX, BodyStep, P90X, Spin, Pilates, Senior Aquatics, and is a certified NASM Personal Trainer. She also has a certification as a Cancer Exercise Specialist and is certified in Fitness Supplementation and Nutrition. Joy’s main objective as Fitness Director is to create a fitness environment in which the JCC Members will excel in overall Health and Wellness, and obtain all their Fitness Goals and Dreams. Sandi is certified in Group Fitness for Les Mills Body Pump, Body Combat and Body Vive. She is also a Certified Personal Trainer. You will see her working in the Fitness Center on weekends. She also loves to teach the Silver Sneakers Fitness Classes. Julie believes that staying fit and strong enhances every aspect of a person’s personal and professional life. As long as she can remember she always participated in movement and sport. As a child she was a ballerina and a gymnast. As a teen she played soccer, basketball and then became a runner in high school and college. Julie has a BA in communications from William Paterson University, and studied Physical Education at Adelphi University. She is a NASM Certified Personal Trainer, Fitness Specialist, 200 hour Yoga teacher, and Spinning Instructor, with several marathons to her credit. Julie carries over 15 other certifications including: Thai Yoga Stretch, HIIT, Bootcamp, Pilates, TRX, and Kettlebells. When she’s not at the JCC, Julie teaches group exercise classes and trains for corporate clients like Pfizer, SHI, and Sanofi. She also addresses large groups at corporate events on the importance of making fitness and wellness part of their daily routines for peak productivity. Over the years Julie has helped hundreds of people become their best selves, nothing makes her happier than to bring health, fitness, and peace of mind to her clients. Whether your goal is to be best at your sport, to walk up and down stairs, to lift your grandchildren, to lose that beer belly or pregnancy weight just ask for Julie! She’ll be with you every step of the way. Bonnie has been the JCC Pilates Instructor for over ten years. She also teaches senior Pilates and yoga as well as yoga classes for children and families. Pilates Institute of America certified, Yoga Fit, Kidding around Yoga and Silver Sneakers certifications. David is certified by WITS (World Instructor Training Schools) as a Personal Fitness Trainer effective February 19th of 2011. He passed the CPR/First Aid (American Heart Association) effective January 26, 2011 and holds a bachelors degree in Art History from New York University. David’s focus is on helping people of all ages to look better and feel younger through integrated training programs. He emphasizes core strength, endurance, and flexibility training to improve overall health taking into account the individual’s particular goals and limitations. Certified BodyCombat Instructor, been with the JCC since November 2012. Joy started at the JCC in December 1999. Her primary roles were Personal Training and Group Fitness Instruction. In September 2005, Joy became Fitness Director. With this position, Joy oversees Personal Trainers/Fitness Center, Group Fitness Instructors/Group Fitness programming, Aquatic Fitness Classes, and Babysitting. In addition, she is also Senior Fitness Adviser for our Senior Population. Joy has twenty-three years of fitness experience and is certified in a number of fitness areas which include: BodyCombat, BodyPump, BodyVive, CXWORX, BodyStep, P90X, Spin, Pilates, Senior Aquatics, and is a certified NASM Personal Trainer. She also has a certification in Fitness Supplementation and Nutrition. Joy’s main objective as Fitness Director is to create a fitness environment in which the JCC Members will excel in overall Health and Wellness, and obtain all their Fitness Goals and Dreams. Amy started working in the JCC fitness department in 2009 as a Fitness Floor Attendant. She is currently a certified Bodypump and Grit instructor. Maria was born and raised in Puerto Rico. She has a bachelor degree in Physical Education. Maria was the Health Promotion Administrator for the 13 Johnson & Johnson facilities in Puerto Rico managing the fitness facilities, nutrition & weight control programs, ergonomic programs, recreational and sports programs, health risk programs and stress management programs. She’s being in the fitness and wellness field for more than 30 years. Maria is a certified personal trainer and group exercise instructor. Her certifications include: NCCPT,NCCPT-Yoga, NASM, CPR/First Aid/AED, AAAI-ISMA, HK, Speed & Agility Trainer, Zumba, Zumba Gold, Strong by Zumba, TRX Suspension Training, TRX Group Exercise, BodyShred, TABATA Bootcamp, BOSU, KickBoxing, Barefoot Training Specialist, Core and Functional fitness, QiForze, QiDance, Fierce4, Weight Management Consultant, Seniors and Youth Fitness, WaterART, BodyShred, Yoga, Water Yoga, Pilates, Barre Above, Pound, Plyoga, Soft Tissue Release, Postural Assessments and more. My name is Aviv Wagner and I am a certified personal trainer. I have been working at the JCC since I arrived here from Israel 7 years ago. Before I moved to America I was a member of the Israeli Air Force and worked for the IDF as a fitness trainer for new cadets. My specialties are strength and endurance, sports agility, and weight training. I have taught both boot camp classes and P90X at the JCC. 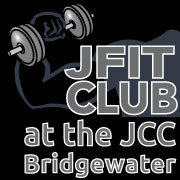 I look forward to helping each of JCC member reach his or her fitness goals. In my spare time, I enjoy playing soccer, trail running, and participating in events such as the Tough Mudder and Spartan Races. Jill has been an employee of the JCC since December 2005. She has a Fitness Specialist degree from RVCC and is certified in BodyPump, BodyStep, BodyFlow, Spin, & Kidding Around Yoga. Jill is also a Personal Trainer for Kids and Adults, and has experience with Yoga, Pilates and Tai Chi.